The chloroplast is a typical plant organelle in plant cells, which is mainly responsible for photosynthesis as well as other essential functions. The chloroplast has gained considerable attention due to its intricate biochemical pathways for indispensable metabolite functions. New technologies, in combination with increasing amounts of plant genome data, have opened up experimental possibilities to identify a more complete set of chloroplast proteins (the chloroplast proteome), both the whole chloroplast and its main subcellular compartments. A great effort has been made to study chloroplast proteome changes under abiotic stresses for better understanding of photosynthesis and identifying the stress-responsive proteins. Abiotic stress is likely to cause a reduction in CO2 fixation and lead to the forming of excess reactive oxygen species (ROS) that impair the functions of chloroplast proteins involved in photosynthesis. 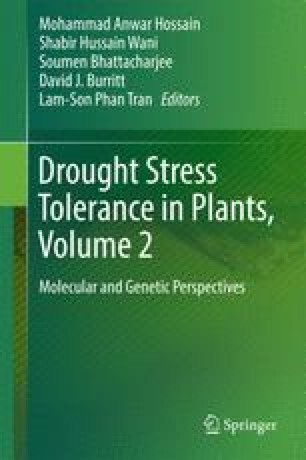 In this chapter, we summarize recent significant achievements in research on chloroplast proteome changes under abiotic stress, hoping to provide insights on the intrinsic mechanism of abiotic stress response in plants.